It’s not easy writing something original and interesting about a woman that I would define the greatest singer in the world of all times, lady soul (I think Whitney Houston and Ella Fitzgerald would say I’m right). I could say nothing, a little bit of silence, for her death, it would be right. But if I talk it’s not because I don’t respect her, in this case I hardly hope we will still talk about her in a hundred of years. Respect is the most used word on Socials, newspapers and tv shows in these days to remember her, because one of the most famous song of hers was “Respect”. Many people talked about this one and other three songs of hers very popular, songs that everyone, old and young, knows very well. I remember many other songs, not because I’m good, but only because I adore her and there are many of her songs that make me excited. 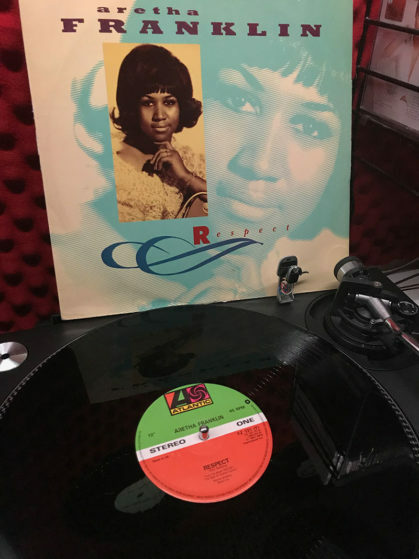 It’s been a long time I listen to her, I bought my first album by Aretha many years ago, I always used to listen to her songs on the radio and I wanted to know and understand more. I found a double album, with many hits of hers, it was the best way to know her. Well, I’ve really knew her, since that moment, I don’t know if you ever listened to her with such an attention, but the way she performed was not common, you can’t find it anywhere, because she was unique, she’s the one. She taught the other singers and she’ll keep on teaching. There are many amazing singers in the music history, really good performers, some of them authors as well, who changes songs in something different, magic, able to lift up souls. I remember many voices like Nina Simone, Etta James, Ella Fitzgerald, Sarah Vaughan, Whitney Houston, Dionne Warwick, Barbra Streisand, Janis Joplin, Amy Winehouse and surely I forget many others. But Aretha taught the ones after and gave a touch to the ones before. She’s called the Queen of Soul but actually she’s The Queen and that’s all, but Soul music was her language, her way of being, of living through her songs. She felt really comfortable with the other genres as well and she sang very good also country music or jazz. She performed with singers all over the world, without showing she was the best, as only a real queen do. She knew she was the greatest one and that you must have such a soul power, to reach the fame she got; that soul she sang about with much of energy. She had not only a great voice, her performer skills were unbelievable and surprising. People always talk about the power she gave to the Otis Redding’s song “Respect”, one of the most famous hit of hers. Respect is a hymn for the Afro-American culture and people, but not only, also for the women from all countries and all ages. What could she do with that voice? Whatever she wanted, she could go up with the notes and singing loud all her will to be listened and reaching the sky and her “Lord”, so important in her religion, the Baptist Church. She could go down and sharing all the pain of a suffering heart, without losing energy. The Soul she sings is the real Soul; the strength, the power and the intensity she gave to every single note, like they had been intense words of an address to the nation, were really surprising. She talks about that through her voice, so full of colors, a real heavenly gift, well used, a voice able to lift up the souls to the highest level of spirituality. You gave such a strength to everyone, Aretha, I think you can be satisfied, and you will keep on doing it, with your songs we will listen to again and again. Now you can rest. Thanks a lot. A DEATH MATCH BETWEEN THESE TWO QUEENS OF POP? NO, UNFORTUNATELY. I SAY UNFORTUNATELY BECAUSE IT WOULD BE AMAZING TO HAVE WHITNEY HOUSTON WITH US AGAIN. IT DOESN’T MATTER THAT TOWARD THE END SHE WASN’T WHAT SHE USED TO BE, WHITNEY WILL ALWAYS BE WHITNEY. AND SINCE I’M NOT THAT YOUNG AND HAVE ALWAYS BEEN A FAN OF HERS, TO ME THE BATTLE WAS OVER BEFORE IT COULD EVEN GET STARTED. YES, WAS, BECAUSE BEYONCÉ COULD COME OUT WITH ALL THE VOCAL POWER IN THE WORLD, SHE COULD MAKE HER GOLDEN PIPES VIBRATE TILL THE END OF TIME, BUT NOTHING DOING, WHITNEY IS UNBEATABLE. THERE’S NO ONE ELSE LIKE HER AND THERE NEVER WILL BE! I REMAIN OF THE IDEA THAT NO ONE WILL EVER BE LIKE HER, BUT MAYBE IT’S TIME FOR A REASSESSMENT, IF NOT GIVING HER A CHANCE. BEYONCÉ DOESN’T NEED IT, AT THIS POINT SHE HAS THE WHOLE WORLD’S ATTENTION, SHE DOMINATES THE CHARTS UNCHALLENGED EVERY TIME SHE MERELY GARGLES AND HAS SOLD SO MANY ALBUMS THAT SHE HAS NOTHING TO PROVE. BUT PERHAPS SHE’S STILL A WAYS FROM BEING CONSIDERED WHITNEY’S EQUAL. SHE’S DEFINITELY SAVVIER, SMARTER, MORE ATTUNED TO HER IMAGE AND LESS OF A MAD GENIUS, DESTROYING HERSELF WITH ALCOHOL, DRUGS, OR WHATEVER. SHE CERTAINLY HAS MORE STRENGTH OF CHARACTER THAN WHITNEY AND HAS BEEN ABLE TO SURROUND HERSELF WITH PEOPLE WHO SUPPORT AND ACCOMODATE HER, WITH ALL HER WHIMS, NOT LETTING HER LOSE SIGHT OF THE ULTIMATE PURPOSE OF WHATEVER SHE’S DOING. HER EQUALLY SUCCESSFUL HUSBAND, JAY-Z, IS A VERY CAPABLE PRODUCER AND CLEARLY HAS NO INTENTION OF RUINING THE PEARL HE HAS IN HIS HANDS. WHEN IT COMES TO WHITNEY’S HUSBAND, BY NOW EVERYONE KNOWS HIM FOR THE GOOD-FOR-NOTHING HE WAS AND HOW HE CONTRIBUTED CONSIDERABLY TO HIS WIFE’S UNSTOPPABLE DEMISE. 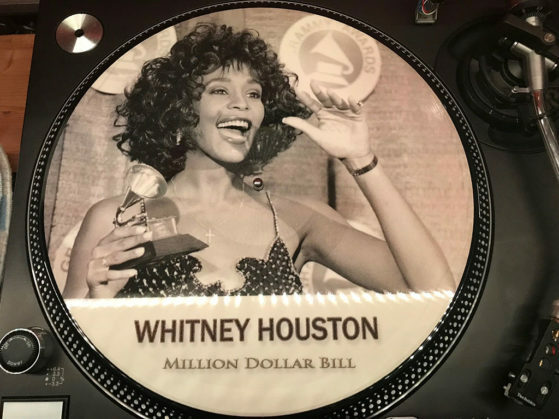 WHITNEY HAD NO ONE WHO COULD HELP HER MANAGE HER PERSONA AND THE TREASURE SHE HAD IN HER VOCAL CHORDS, WHEREAS BEYONCE DOES AND SHE BELONGS TO ANOTHER ERA, WHERE IF YOU ARE VALUABLE, RECORD COMPANIES WON’T LET YOU SELF-DESTRUCT, EVEN IF ONLY BECAUSE YOU’RE A GOLD MINE FOR THEM. OF BOTH YOU COULD SAY THAT THEY BELONG TO THAT CATEGORY OF SINGERS SO MATCHLESS THAT THEY COULD EVEN SING A PAGE FROM THE PHONE BOOK AND IT WOULD BE GREAT. IN ITALY WE HAVE GIORGIA AND IN FACT FIORELLO ONCE HAD HER SING MEDICAL RECORDS FOR FUN. NOT MANY CAN BE PART OF THIS GROUP AND WHITNEY AND BEYONCÉ CERTAINLY FIT IN. IT SEEMS SILLY WHEN YOU PUT IT LIKE THAT, BUT IT SUGGESTS SOMETHING VERY SIMPLE: ANY SONG THEY SING, WHETHER GOOD OR BAD, HAS AN IRRESISTABLE EMOTIONAL POWER. AND THIS IS EVEN MORE UNDERSTANDABLE IF YOU LISTEN TO THEM SINGING DUETS OR THE CAMEOS THEY DID THROUGHOUT THEIR CAREERS. NO OFFENSE TO THE OTHERS, BUT THERE ARE SONGS THOSE TWO CONTRIBUTED TO THAT ARE IMPORTANT ONLY BECAUSE OF THEM; SONGS THAT, AS SOON AS THEY HIT THEIR FIRST NOTE—MAKE THEIR ENTRANCE, YOU COULD SAY—IT’S A WHOLE NEW WORLD, THEY LITERALLY SOAR, ASSUMING ASTONISHING POWER. HAVE YOU EVER HEARD WHITNEY SINGING WITH A CHOIR IN THE SONGS FOR THE MOVIE “THE PREACHER’S WIFE”? FOR HER JUST A SERIES OF AAH-OOHS IS ENOUGH TO MAKE THE TRACK INVALUABLE! AND IN DUETS? SHE EVEN MANAGED TO OUTSHINE MARIAH CAREY, WHO MUST HAVE CURSED HER EVERY WHICH WAY FOR BEING ALIVE AT THE SAME TIME AND NOT BEING ABLE TO SURPASS HER, NOT EVEN WITH HER FAMOUS ULTRA HIGH-PITCHED NOTES. EVEN SOMEONE LIKE GEORGE MICHAEL, WITH HIS FANTASTIC FREDDY MERCURY-LIKE VOICE, STRUGGLES TO MATCH WHITNEY, A WHITNEY WHO IS NO LONGER PERFECT. SHE REACHED PERFECTION WITH “I WILL ALWAYS LOVE YOU” AND MANY OTHERS AND ALL YOU CAN SAY IS THERE’S NO ONE ELSE LIKE HER, FOR HER VOCAL POWER, ABILITY, MASTERY OF TECHNIQUE, SENSIBILITY, IMAGINATION, COLOR, AND CONFIDENCE. THINKING BACK ON THAT PHONE BOOK, GO LISTEN TO WHITNEY WHO, IN A COMPLETELY CASUAL, TOTALLY UNASSUMING OUTFIT, WITHOUT ANY SPECTACLE BACKING HER, BELTING OUT THE U.S. NATIONAL ANTHEM AT THE 1991 SUPER BOWL. HTTPS://WWW.YOUTUBE.COM/WATCH?V=N_LCMBVYMRS A TRUE STRADIVARIUS, SINCE THE VOICE IS A MUSICAL INSTRUMENT LIKE ANY OTHER. ON THE OTHER HAND, BEYONCÉ: TRY TO THINK OF THAT COLDPLAY SONG “HYMN FOR THE WEEKEND.” IT’S FINE, YOU LIKE IT OR DON’T CARE FOR IT, DEPENDING ON TASTE, BUT THEN AT A CERTAIN POINT A VOICE BREAKS IN… IT JUST SO HAPPENS TO BE BEYONCÉ AND SO OF COURSE THE TRACK CLIMBS THE CHARTS, CRITICS AND LISTENERS ALIKE AGREE, IT FILLS THE AIRWAVES, AND EVEN THOUGH THE LYRICS AREN’T VERY DEEP, NO ONE CARES, THE SONG SKYROCKETS, AND THE LYRICS MIGHT AS WELL BE FROM THE PHONE BOOK. OR ED SHEERAN’S LATEST TRACK, “PERFECT DUET” HE’S GOOD, THE LYRICS ARE SIMPLE, BUT THEY WORK BECAUSE THE MELODY IS VERY SOFT AND PERFECT FOR MELTING HEARTS, PLUS HE’S A GOOD PERFORMER, SO IT’S ALL FINE, FAULTLESS; THEN AT A CERTAIN POINT IN SHE COMES, BEYONCé, AND THE SONG TAKES OFF, BUT WITH AN INCREDIBLE EMOTIONAL FORCE, AND WELL… THAT’S IT, IT’S A WHOLE OTHER STORY! AND ANYWAY, JUST BETWEEN US, EVEN IF BEYONCE ALSO DOES AN ALL-RIGHT JOB WITH THE NATIONAL ANTHEM IN 2004, HTTPS://WWW.YOUTUBE.COM/WATCH?V=OHRRGU2RCZ4 SHE CERTAINLY DOESN’T HOLD UP BY COMPARISON. ONE LAST THING, MAYBE A LITTLE CHEESY, BUT IT SEEMS LIKE THESE TWO QUEENS OF MUSIC, WITH A LOWER-CASE “Q,” CAN GIVE THE WORLD “LOVE” SUCH A STRONG SEMANTIC FORCE THAT IT ALMOST SEEMS LIKE THEY CAN CONVEY THE STRENGTH OF THE EMOTION THAT IT REPRESENTS. SO THEN, WHO’S THE WINNER OF THIS BATTLE? IT’S YOUR CALL. TO ME, WHITNEY IS INCOMPARABLE, BUT WE COULD SAY THAT, IF WE REALLY HAD TO FIND HER SUCCESSOR, BEYONCÉ WOULD BE IT. MAYBE SHE HAS LESS VOCAL POWER, BUT HONESTLY I CAN’T TELL! THOUGH I WOULD SAY THAT IF WE THROW OUR GIORGIA INTO THE MIX, IT WOULDN’T DO ANY HARM, ON THE CONTRARY. IN FACT, MAYBE YOU PREFER ELISA, IT’S A QUESTION OF TASTE, BUT GIORGIA IS VERY MUCH A PART OF WHITNEY’S SCHOOL AND SHE IS A STELLAR STUDENT! I WANT TO SAY ONE LAST THING ABOUT GIORGIA: LISTEN TO HER ENTRANCE AND HER DUET IN HER TWO LIVE PERFORMANCES AT THE AMICHE PER L’ABRUZZO BENEFIT CONCERT, WITH LAURA PAUSINI, “PRIMAVERA IN ANTICIPO,” HTTPS://WWW.YOUTUBE.COM/WATCH?V=YIRLSQRO1LG AND WITH GIANNA NANNINI “AMANDOTI,” HTTPS://WWW.YOUTUBE.COM/WATCH?V=GTCYNBK1QOC NOT TO DIMINISH THE OTHER TWO, BUT SHE CAN WORK MIRACLES AND TRANSFORM GOOD SONGS INTO MASTERPIECES. AND SINCE GIANNA NANNINI IS A BRILLIANT MUSICIAN, SHE HAD THE SMART IDEA AFTER THAT PERFORMANCE TO WRITE A SONG TO SING WITH GIORGIA, “SALVAMI”. Well we can listen to all of the world’s music, old, new, modern, but you can not deny that each one has favourite records or a singer in the heart, that needs to feel better, feel at home, consoling, to calm down, to draw energy. It is usually a singer or a musician with whom we have grown up or stayed together for a long time in our lives, so that we have memories related to a particular song or even an album of a singer or musician which we literally consumed, especially if a record or cassette, but also we know it perfectly and we prevent words and notes. It does not matter that it is recognized as great or good, for us it’s a kind of friend, virtual life companion, a bit like someone we call when we need a push or a shoulder to weep, or someone with whom to vent us. Or we get to the maniacal levels of that kind: tomorrow I have this exam, or I have that job interview, I listen to that singer’s album because I have to, because it’s my preparation ritual or why I find serenity and concentration. Music has this immense power: to put us like a bomb in a few seconds in a sea of ​​our memories of the past that we often need; we haven’t live only to remember, at all, but not without memories, because it often helps remember that they may have been brave, perhaps generous, good-natured or determined or stubborn, or have had an attitude in our past that we are proud of and can give us a boost for the future. I have one of mine, who has accompanied me since the tender age and fortunately she continued to produce, I have all her albums, even the least beautiful ones, some I did the grooves on record, to others a little less, I was at two her concerts and others I have dvd. It could produce trash I think, but I would continue with some critical sense of saying that “… well it’s not the best, but I like it …”. Her voice still bewitch me, as when I was ten years old, no matter how powerful it is, or that it reaches the maximum octaves, it doesn’t matter if she is old after years, no matter it is trash or not part of the cup of world musicians, for me, however, remains a magical, fantastic, companion of life and even a bit of mine. Tell me who is yours and if you don’t want to reveal the name for your reasons, it’s not a problem, tell me why you have this passion or memories related to his/her songs or how they make you feel. And if you don’t have one, you may have more than one or one track. 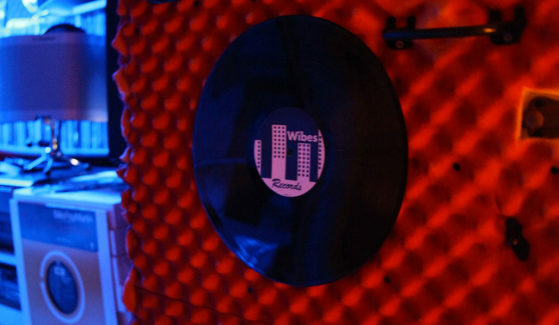 This web radio station is dedicated to vinyl and to all the listeners who want to immerse themselves in a passion that evokes a bygone era, while also coming back in a big way. The return of vinyl is a contemporary phenomenon. Recent years have seen the slow rise of the old 33rpm record, the beautiful black disc with its large, colourful cover, which everyone has a few of at home. Yet many people have forgotten about vinyl, some are too young to really know about it, and others aren’t interested because MP3 files are simply easier to manage. There’s no doubting the convenience of the MP3, which allows you take your music anywhere and listen to it whenever you want. 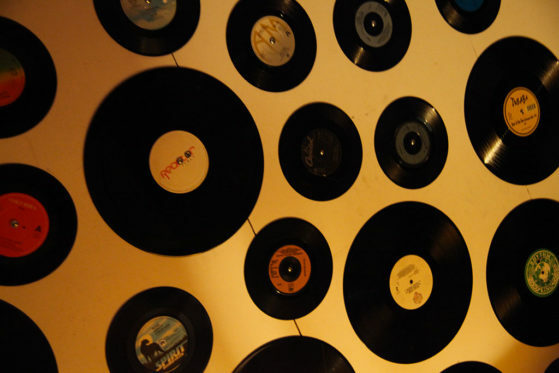 Yet vinyl records unquestionably hold a special charm for music lovers. It’s Vinyl Sound Radio’s job to help you rediscover this fascination that some people – but not all – have forgotten. As discs appear in the shops once again, many listeners are in need of a little memory refresh. Like us, you’ll discover the joys of rummaging through an attic or cellar, digging up your dusty records and remembering your younger days. You’ll also get to know the excitement of buying a shiny, perfect new disc – you can almost smell it – that brings forgotten sounds to your ears, frequencies you just needed to hear, expanding the range of musical sensations that you currently listen to.